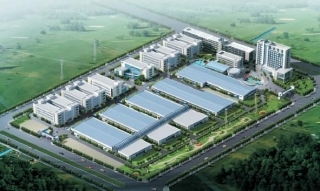 Established in 1986, thecompany is located in Sheng-zhou, Zhejiang province of China. The factory is near to Ningbo Port, one of the largest shipping port of China. The company is joined by expertises in technology and machinery. Most equipments used in production are developed and produced by Weifa itself. Weifa holds national patents on techniques on rib lath and metal lath lines. Our rib lath, metal lath and quality system is U.S.A.building codes tested and evaluated by ICC-ES.We make products with galvanised steel material meet ASTM C 847 according to custermer's requirements.The quality system is accredited through ISO 9001 and reviewed twice a year, assuring stable quality consistency.With a newly acquired factory land of 12000 m2, we largely increase our production capacities. On base of original products, we are developing new items. We look forward to work with partners in building markets from around the world and service to more countries. With a newly acquired factory land of 80,000 m2, we largely increase our production capacities. On base of original products, we are developing new items. We look forward to work with partners in building markets from around the world and service to more countries. 2009/03/08 WEIFA attended international hardware fair Cologne. WFEML.COM Copyright 2010 / All Rights Reserved.